While at the dollar store I stumbled across these "bird print tins" they were the perfect mate for some old tin tiles that I had painted and distressed a few weeks ago. 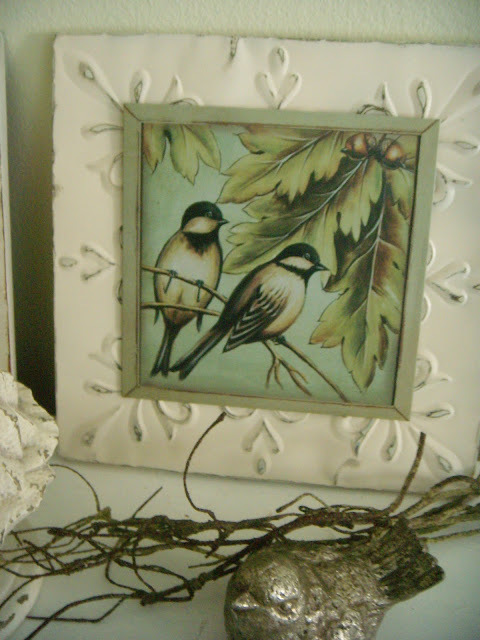 I brought them home and glued them to my tin tiles and was quite pleased with the outcome. I'm sure that you could mount them to a piece of distressed wood or even put them in a frame that was chunky chippy and shabbed out! They came out so "anthro" I love them! love those Kate! Gotta love the dollar store!! Keep up the good work on your blog and enjoy your weekend. Also love the bird prints. We DO have the same taste!! I just bought this bird print last week at the d store!! I ADORE how you've put it on the tin - so wonderful! I love anything having to do with birds, and your tin print is soooo cute! It looks awesome on your white tin tile. You know where it would look absolutely adorable?.....My house! :-D He! He! Love them. Have a wonderful weekend. Blessings. I love those birds, such a great project! Congrats on your giveaway win with Faded Charm. Hi Kate....just found your site! Loovvee all of your thrifty finds! 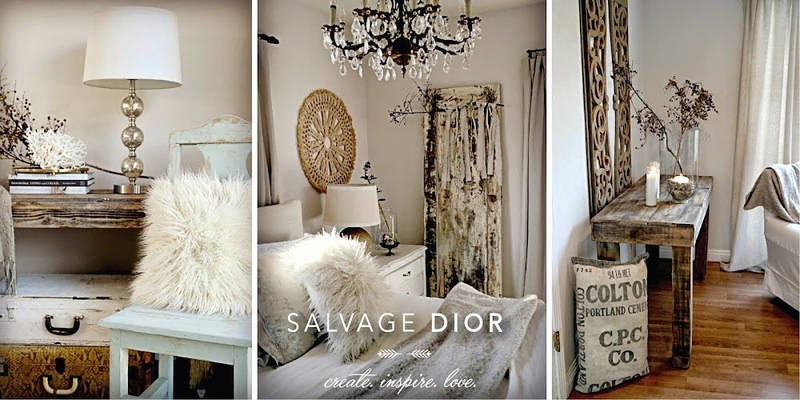 You are my kind of decorator! You really do have the loveliest blog. And what a beautiful girl you are! 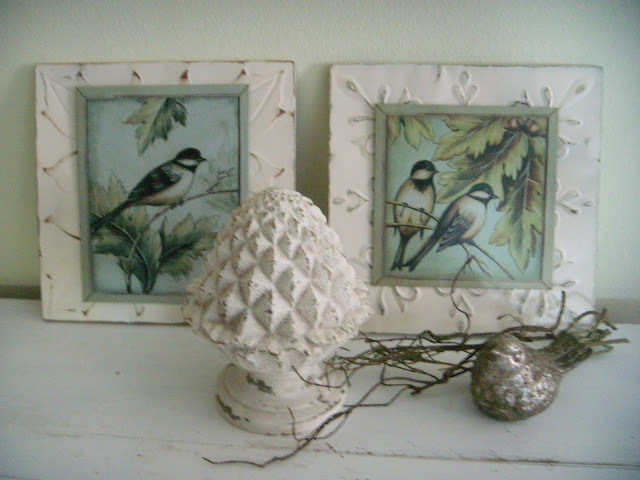 What a find, and I love what you did with these bird pictures. Wow, I'm impressed! You did an excellent job!